Cats love their home comforts so travelling can leave them feeling out of sorts. But that doesn’t mean they have to stay at home! 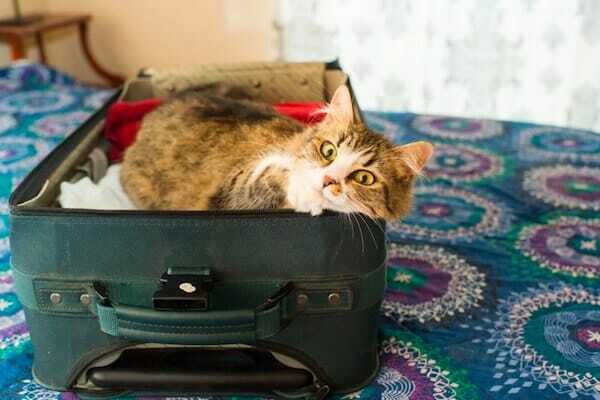 Our veterinary expert Dr. Alexandra Beck shares some top travelling tips to help your cat get to their next destination as comfortably and with as little fuss as possible. Why? They don’t enjoy being taken out of their warm, familiar home and being exposed to strange sights, smells and sounds. Remember, cats don’t understand how a car works! So between strange movements, vibrations and the occasional honking horn, travelling can be a complicated affair for a cat. We worked with International Cat Care to provide you with everything you need to learn to make your cat enjoy travelling - because it is possible. Another great tip is to spray Feliway Spray in the four corners of your cat’s carrier 15 minutes before you pop them inside. Feliway Spray has been proven to help reduce signs your cat may display when they’re not happy in a car — like meowing, salivating or becoming agitated. Cats can actually get travel sick, but you can avoid this by leaving 6 hours between their last meal and the time you are due to set off. Be sure to keep them hydrated on long journeys, especially when it’s warm! In case of any ’incidents’, put some pads in the bottom of the carrier. Keeping kitty happy can be nice and simple! 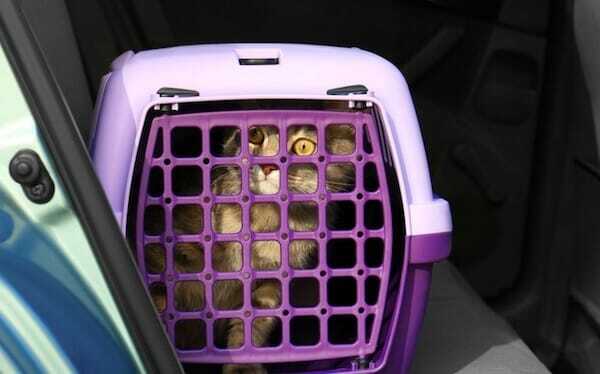 Remember your cat’s carrier is there to protect them. Whether travelling by car, train or plane it’s important that they stay inside. The carrier should be secured with a seatbelt when you’re driving and, ideally, placed in the area of the car with the least vibrations. To help your kitty stay chilled you can also place a towel or sheet over the carrier so there are less unfamiliar sights for them to see — think of it as a lovely cat curtain! Does the hotel or place you are renting accept cats? Always check when you are making your booking. If you’re going with friends or family it’s a good idea to ask if they are all happy for your cat to come along. 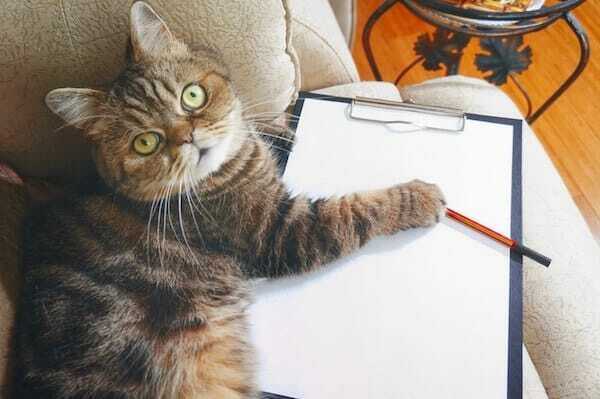 2) Do you need to visit the vet? Talk to your vet before you leave — your kitty might need vaccinations to make sure they’re ready to travel too. You might also need to visit the vet to sort out ID or get a microchip, to make sure your cat can be easily returned to you if lost. It’s worth checking the location of the vet nearest your destination — just to be on the safe side! 3) Make them feel comfortable? Everyone gets a bit homesick on holiday, and your cat is no different — so remember to bring a FELIWAY Diffuser on your trip. This will help your cat adjust to their new surroundings thanks to the “happy markers” the diffuser releases! Remember to plug-in the diffuser when you get home for at least a week to remind them they are home sweet home.